Just realized I'm supposed to be part of a symposium on growing local food on Saturday. 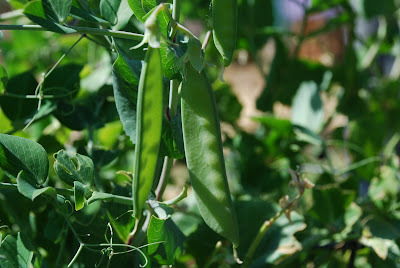 I suppose I can talk about how I got a whole pound and a half of snowpeas out of my garden. . . how's that for local (but possibly not very impressive)? I think I'd feel better with a bit more preparation. So today after I grade, that's what I'll work on. Sheesh. Generally, I'm really happy to speak in public, but I prefer to feel as though I have some clue about my subject. Well, I'm impressed about the snowpeas.